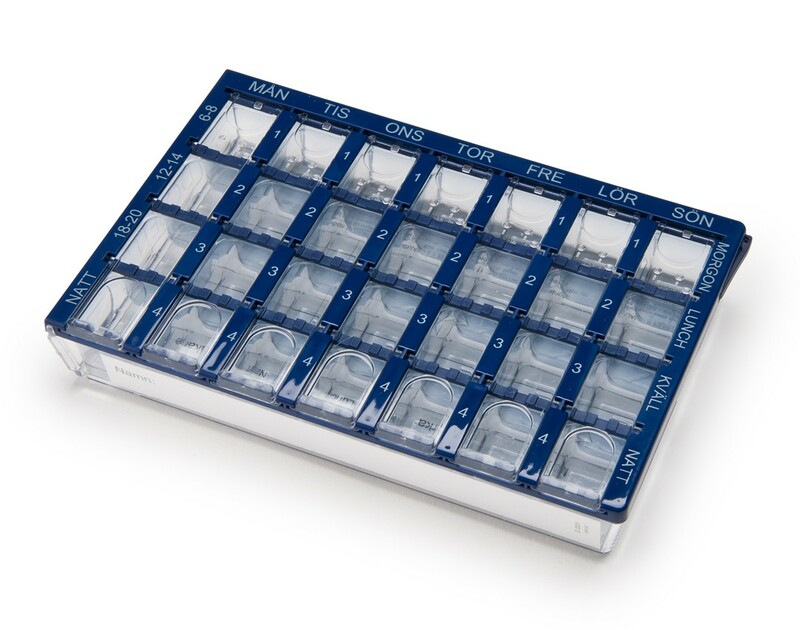 Dosett® Medi organizes and dispenses one week’s worth of vitamins and medicines. Dosett® Medi is equipped with a prescription chart which can easily be changed when no longer current. Dosett® Medi also has a detachable insert which can easily be removed for cleaning or for replacement. Must be hand-washed in lukewarm water. Do not put in dishwasher. If the size doesn’t meet your requirements, try Dosett® Medi or Dosett® Maxi. Dosett © 2015. All Rights Reserved.